An ISF-C Commercial Video Calibration seminar will take place before InfoComm in Las Vegas, June 11-12. The two-day course covers the science of light and color and how the human eye reacts to the images it sees. It is a comprehensive course for those who strive for perfection in producing visual images. Keys to quality image reproduction are covered in depth, and everything comes together on day 2 with hands-on labs that allow each student to properly set up and calibrate a display or projector. Industry certifications provide professional credentials and a method of recognizing achievements and knowledge level. Certifications improve job performance through increased knowledge and pride in working to an industry-recognized standard. ISF-C creates strategic partnerships between companies enabling key alliances, bringing new capabilities and sales opportunities. Ultimately, a certification program can increase company differentiation from competitors. 16 CTS Renewal Credits for live course and 8 for online course. Online $295, 2-Day $995 and includes workbooks and lunch (live events). Sign up now to be sure you get a seat. 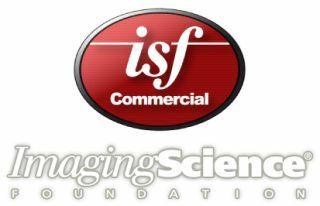 The ISF Commercial Seminars are limited to 20 students.